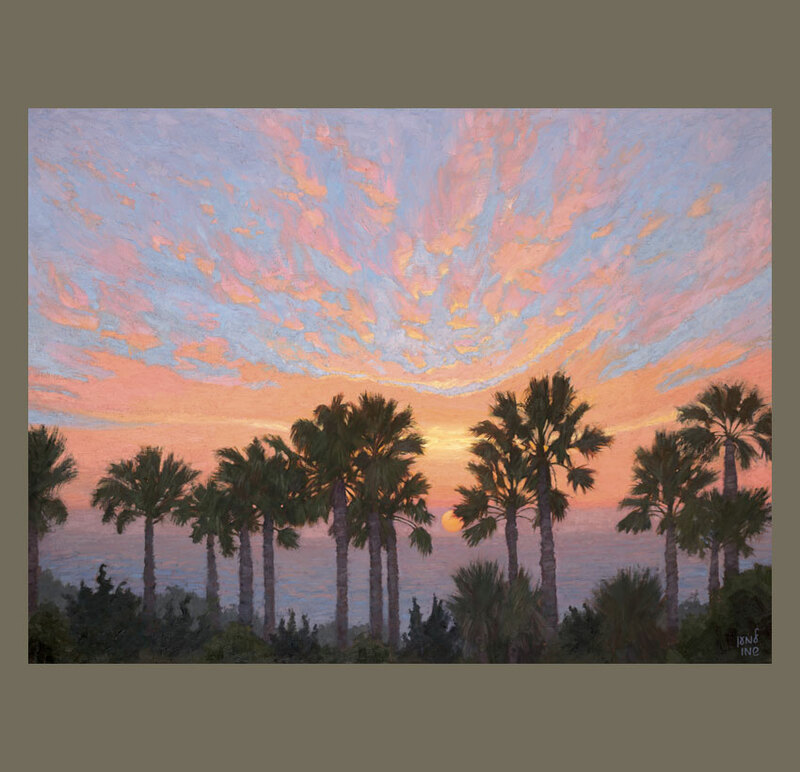 This painting was selected to be the cover for the book California Light: A Century of Landscapes (Paintings of the California Art Club). After painting in Malibu for many years, I realized my dream of buying a home here. This view is from the balcony outside the master bedroom, and faces southwest over Zuma Beach. The winter sunsets are unbelievably spectacular and remind me of postcards from Hawaii. But this is Malibu, and it is breathtaking. 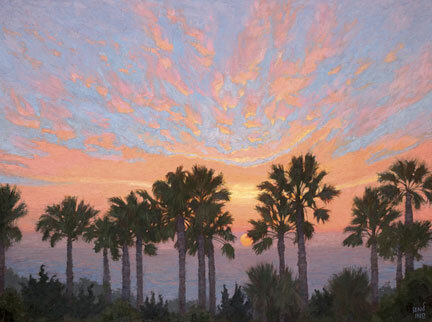 In this painting, even the palm trees seem to be praising God’s handiwork. 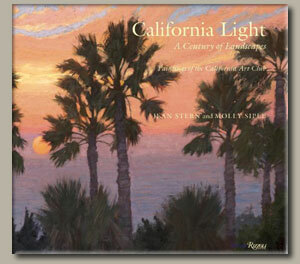 This painting was selected to be the cover for the book California Light: A Century of Landscapes (Paintings of the California Art Club), published in 2011.